Some new images of the new Nike Air VaporMax Flyknit 3.0 sneakers have been circulating online. Updating the Air VaporMax Flyknit 2.0, this model features an updated ribbed Flyknit pattern reinforced by a reworked heat overlay that marks the hidden enhanced heel counters. Additional decoration on the unique sleek upper comes in the form of midfoot Swooshes and 3.0 specific tongue tags. 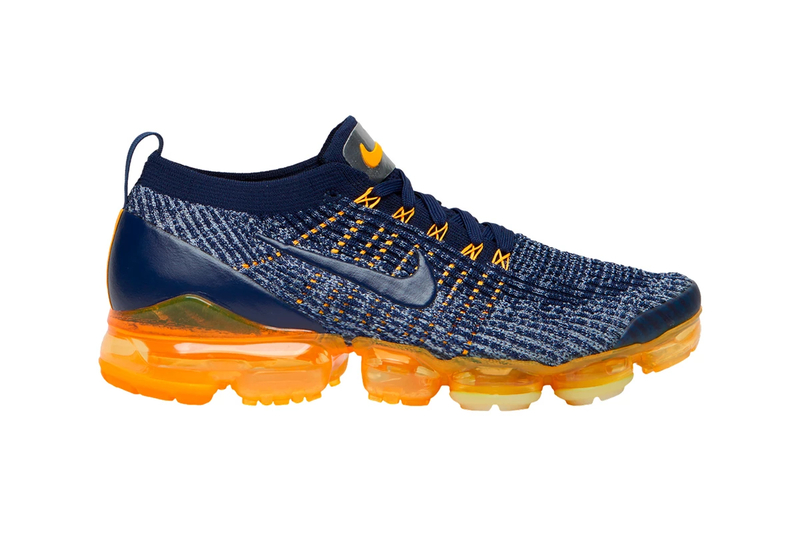 Maintaining a familiar look, the upcoming model once again features a full-length VaporMax midsole, accompanied by segmented rubber outsole caps.